Brakes come in different reaches(drop) so it is important to know before buying brake callipers what brake drop your frame requires – mostly the rear brake will have a drop similar to the front although with some older frames this is not the case. Brake drop is measured from the centre of the bolt mounting hole to the centre of the rim's braking surface immediately below the brake mounting. 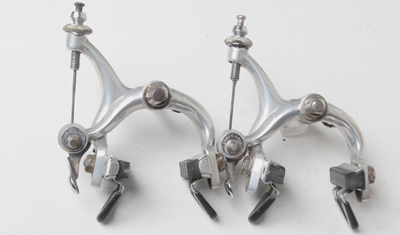 You should check both front and rear from the front of the forks and the rear of the seatstay bridge. 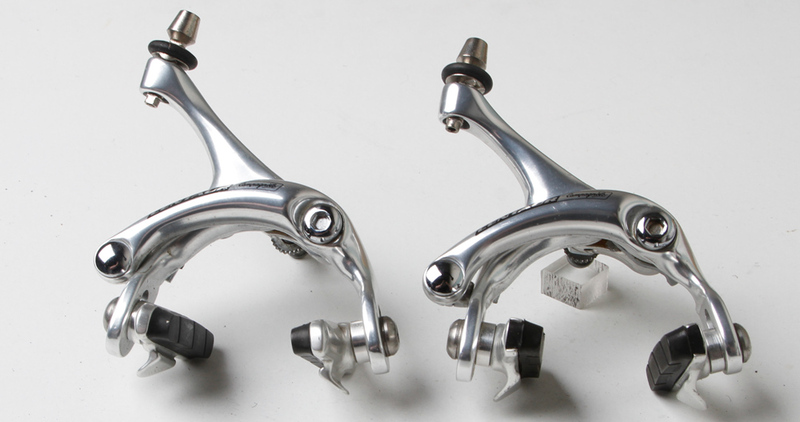 Road bike calliper brakes also come with two different mountings – those requiring hex nut fitting and those needing Allen bolt also known as recessed nut fitting. 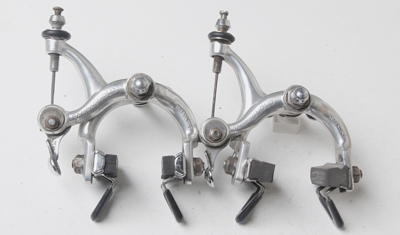 Please contact me at:hilarystone@hilarystone.com to check on availability and confirm shipping cost. 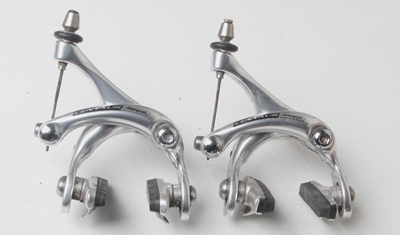 Flat Q/Rs and plain brake pad holders distingush these from the later version. Used in both Nuovo Record and Super Record brakesets and groups. 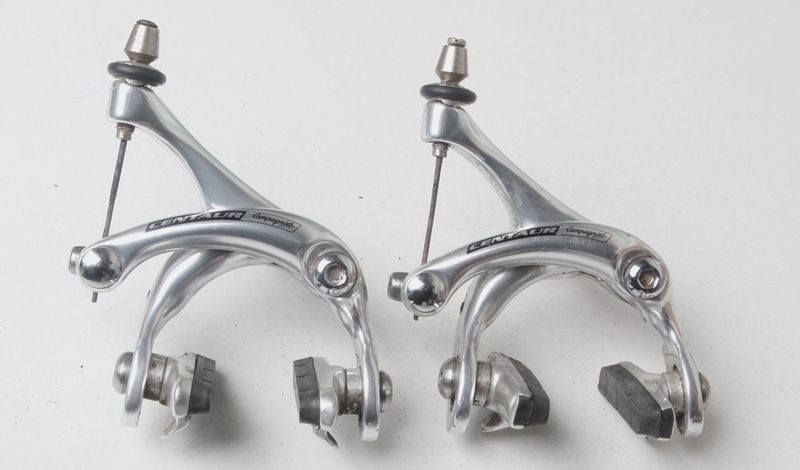 Rounded Q/Rs and brake pad holders with coated wheel guides distingush these from the earlier version. 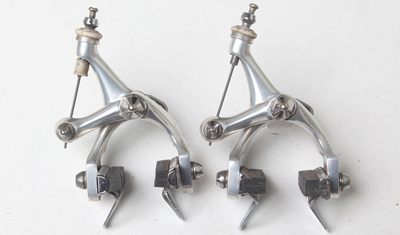 Used in both Nuovo Record and Super Record brakesets and groups. BC6 CAMPAGNOLO VICTORY 1985–8 42–52mm brake drop, Allen nut (recessed fitting) Excellent few tiny marks SOLD but have others available.